The real reason why we change city, town and street names. In a nutshell, as it were, I have tax payers money at my disposal. I need to spend it, but not on the opportunities listed previously. To do so would defeat the object, namely my own. You must however, understand that I still need to do something to show the masses that I/we are with them and what better way to do so by changing street names after people most of us have no clue who or what they are. It is the fantastic diversionary tactic of honouring the so-called “Struggle Heroes”. And at the end of the day, people forget that they had to take a crap in the bushes, they forget that they have schooling till Grade 3, they forget that they are desperately ill, because once they tell others: “I took January Masilela into town this morning. You know, used to be Church street, now January Masilela. The struggle hero”, all is well with the world. 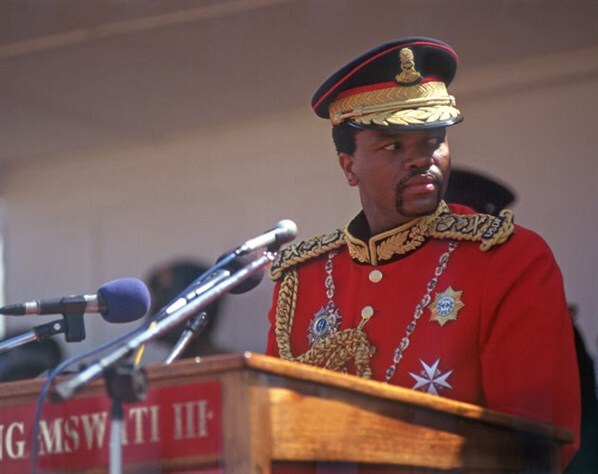 Finally, let the grand old Swazi King Mswati III be an example of what not to do. When faced with the opportunity of spending his voters’ money on changing street names or buying an aircraft, guess what he did? He went with the plane. Hey! Don’t touch me on my private jet! OK? Don’t touch me on my private jet! And now? Now he has nowhere to park it. Specifically not on January Masilela street! This entry was posted on Monday, June 4th, 2012 at 06:03 and is filed under Lessons in Dictatorship. You can follow any responses to this entry through the RSS 2.0 feed. You can leave a response, or trackback from your own site.